Sydney Blues & Roots Festival delivers a stellar final bill – Spotlight Report "The Best Entertainment Website in Oz"
Kim Churchill & Tim Chaisson (Canada)! The Sydney Blues & Roots Festival has today revealed a final roster that showcases a selection of the most outstanding local and international blues, roots, rock, folk and acoustic acts on the music scene. 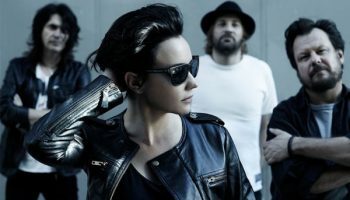 In what can only be described as a major coup, iconic home-grown rockers BabyAnimals will headline the four-day event, taking place from Thursday 27th to Sunday 30th October in Windsor, in Sydney’s North-West. Baby Animals have been hard at work since reforming in 2007, having recently performed for His Holiness the Dalai Lama in their hometown of Perth. 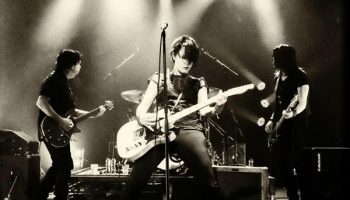 One of Australia’s most revered rock bands, and featuring the stunning voice of Suze DeMarchi, Baby Animals promise to bring a taste of true rock n’ roll grit to Sydney’s premier blues event. The Trews announce Australian tour! Baby Animals and Screaming Jets live Touring This Winter! ‘Baby Animals’ second show announced in Melbourne!